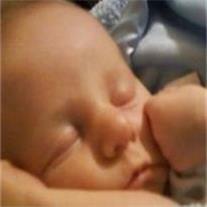 Ryker Ezekiel Maddox Luth, 1 month, passed away February 18, 2012 in Mesa, Arizona. Funeral services are Monday, Feb. 27, 2012 at 11 AM, preceded by a visitation at 10 AM at the LDS Desert Ridge Stake Center, 3440 South Signal Butte Road in Mesa. Arrangements by Bunker’s Garden Chapel.